Learn how to properly log in and out of your ELD in vehicle device. 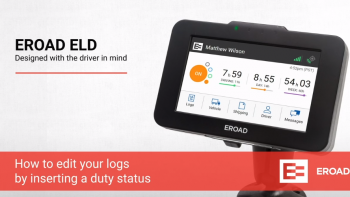 Changing your duty status from your ELD in vehicle device. Learn how to edit your logs through your ELD in vehicle device. 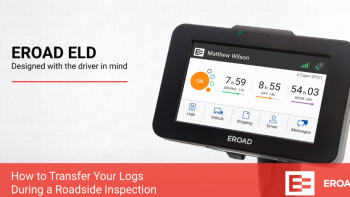 Use your EROAD ELD in vehicle device to remain compliant and certify your logs. 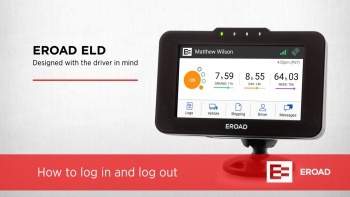 Learn how to email from your ELD in vehicle device. Suggesting an edit to a driver's log in Depot. 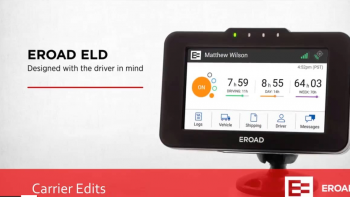 See how to add or drop trailers using the EROAD ELD. Learn how to edit your logs by inserting a duty status. Learn how to delete a duty status using the EROAD ELD.